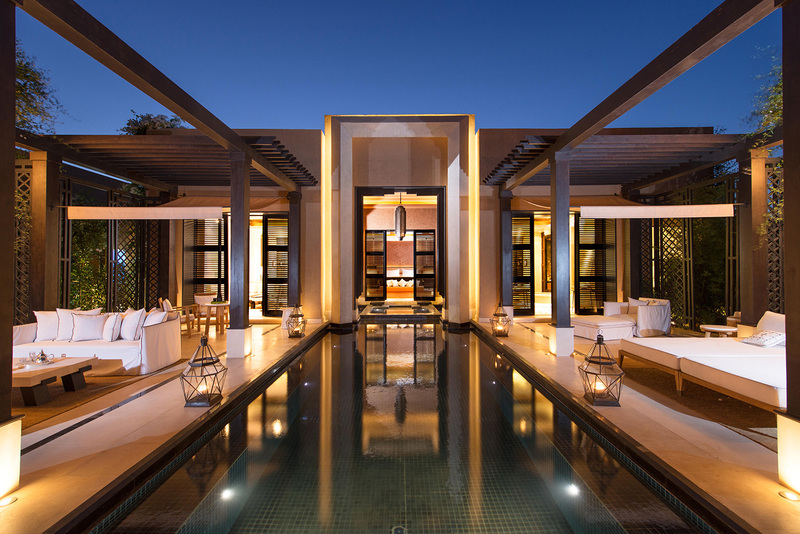 Morocco is an enchanting country with a broad swathe of world class hotels on offer. Here, we’ve selected some of the most romantic ones in Morocco, so you can sit back and really enjoy an unforgettable honeymoon in complete comfort and luxury. This hotel (pictured above) has been receiving world class reviews the world over, and with very good reason. As one of the world’s leading luxury hotel companies, you know the Mandarin Oriental group are not going to compromise in terms of luxury and quality. The layout of the hotel is sophisticated but not over the top, smart without being pretentious, and the 54 single storey villas all have their own individual character. What’s not to love? 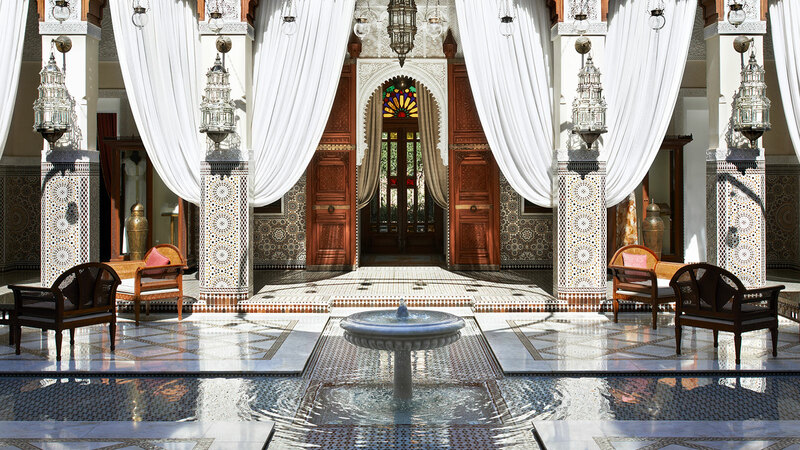 The Royal Mansour is the embodiment of Moroccan luxury with impeccable service, whilst each villa has its own fireplace and a special dining room where 10 staff are on hand per villa to cater to your every whim. If that doesn’t suit you, the hotel has 3 restaurants, 4 bars, a tea room, a very smart fumoir, a library, spa and stunning outdoor pool. Needless to say, all 3 restaurants provide exceptional food. This place gets 5 stars from us. Only an hour’s drive from Marrakech, but further enough away to feel like you’re truly in the heart of Morocco, Kasbah Tamadot is the ultimate romantic retreat. This hotel is a walled complex with peaceful courtyards and stunning views. This hotel has arguably some of the best hotel views in the whole of North Africa, and there are great trekking, camel riding, quad biking and paragliding options all available from the hotel. 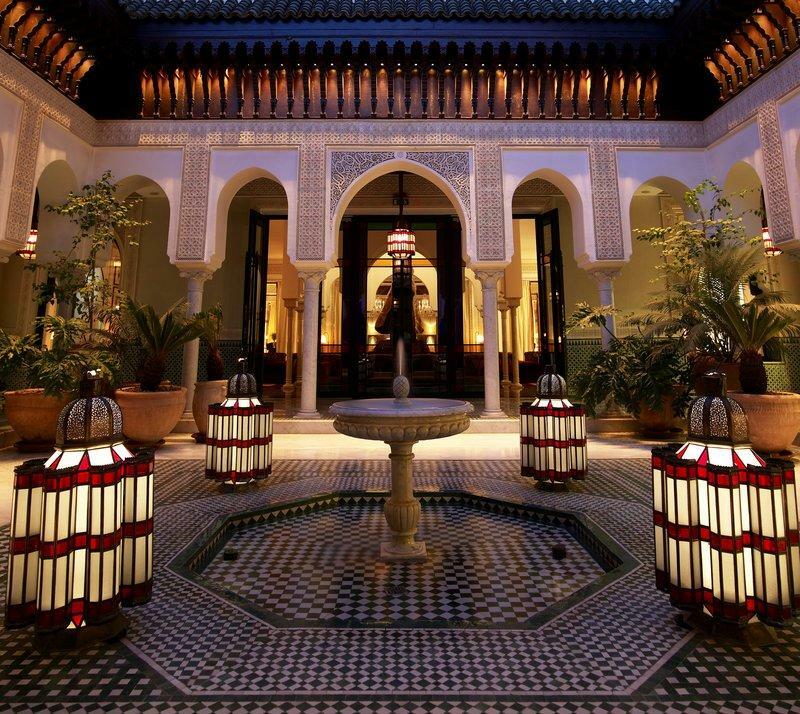 This hotel is a fantastically restored riad with a mosaic-tiled hammam and stunning bedrooms. 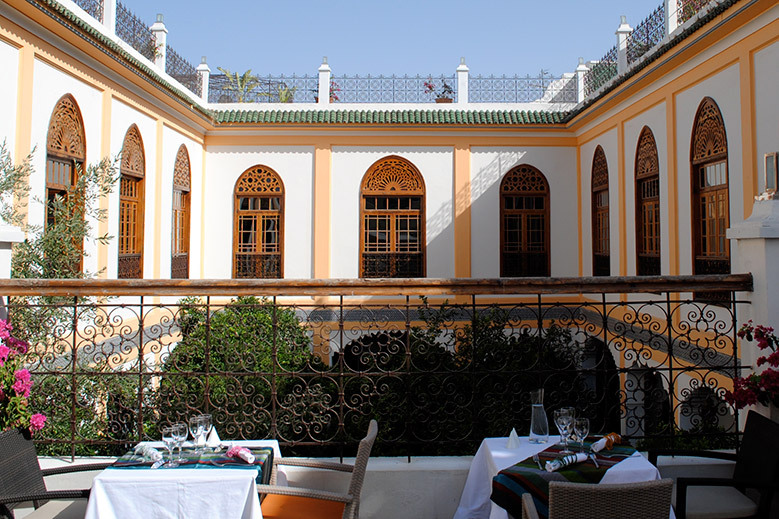 With superb reviews across the board, Palais Amani is just a 2 minute walk from the main Fez medina – which is also the largest pedestrian zone in the world (!). Equally, this hotel has so much character and charm you really won’t want to leave. Whilst being at the more expensive end of the spectrum, this hotel is worth it purely because you are staying at the best of the best. It is your honeymoon after all! With 135 spotless rooms, 71 suites and 3 three-bedroom riads, they are all classically Moroccan with very tasteful interiors. The hotel is opulent and lavish, set in royal gardens. Winston Churchill used to be a huge fan of this place, and we’re sure you will be too. For more information on Morocco more generally, have a look at our Morocco Honeymoon Page which is filled with nuggets of wisdom about the country.